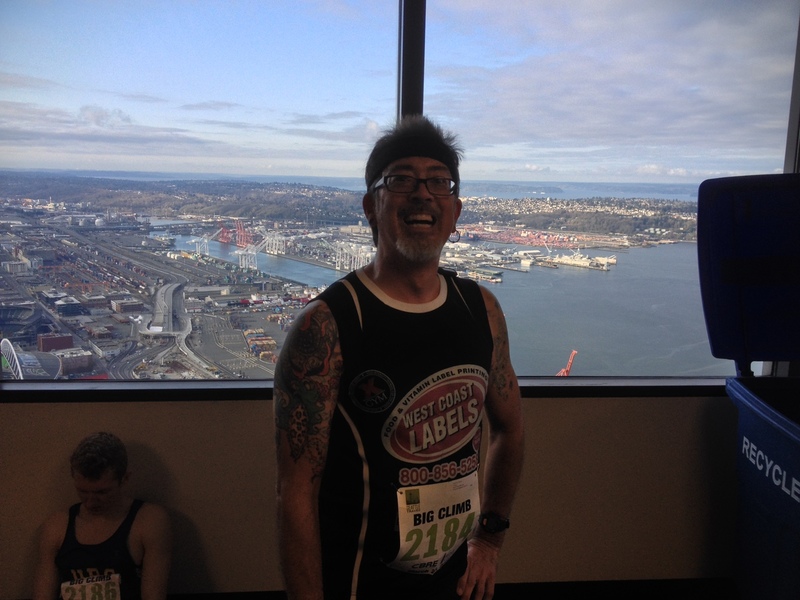 Back in November, when we were on our way to Chicago to climb the Sears Willis Tower, we got word that registration was opening for the Big Climb in Seattle. Everyone said it’s a good event and a fun time, so we signed up for it. Months came and went, and in the meantime, my back when to hell. But the trip is all arranged and paid for, so we decided to go on it anyway. 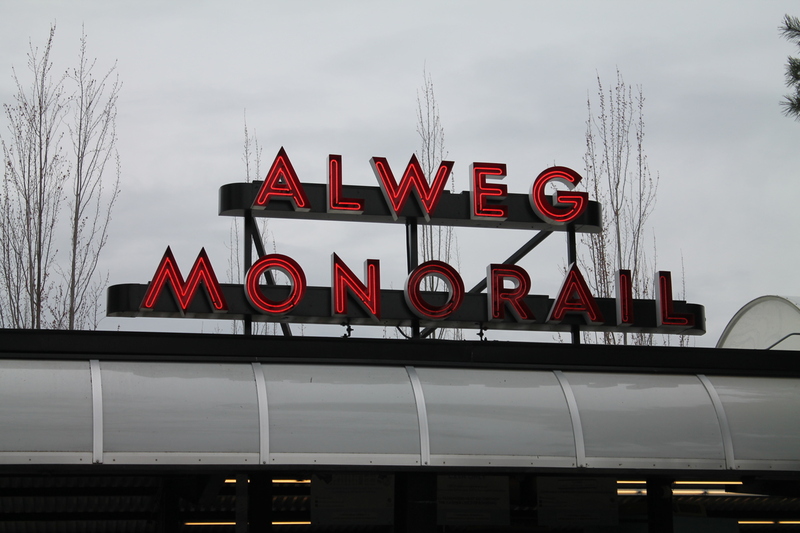 I’d never been to Seattle before, and I’ve got both friends and family there, plus it’s a chance to play tourist. On the way there, when we were flying over (I think) about Reno, I saw a little black wisp rising out of the clouds. It looked like a Dementor from Harry Potter. 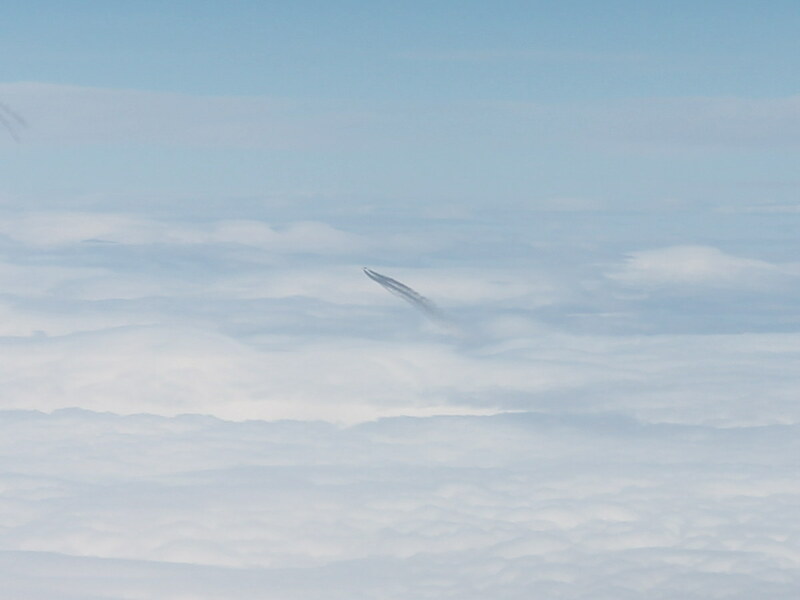 I got out the big lens for my camera, and close up, it looks like it was probably a military jet. It just looked strange, since it was going almost straight up out of the clouds. A bit farther, I started to see the stratovolcanoes of the Cascades. I was trying to spot Mt Lassen, since that’s the one Cascades volcano I’ve climbed and seen up close, but I couldn’t locate it. I did see Mt Hood, with Portland right next to it. 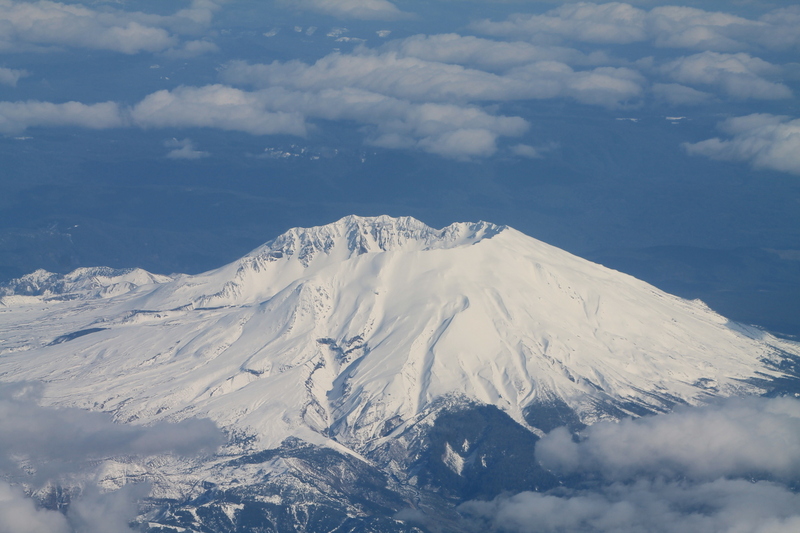 And that told me that we were near Mt St. Helens. And within a minute or two, we were flying right over it. I managed to get a pretty good picture of the crater. When we got to Seattle, we made our way to our hotel, which turned out to be right downtown, and only two blocks from the Columbia Center tower, which we could see out the window. 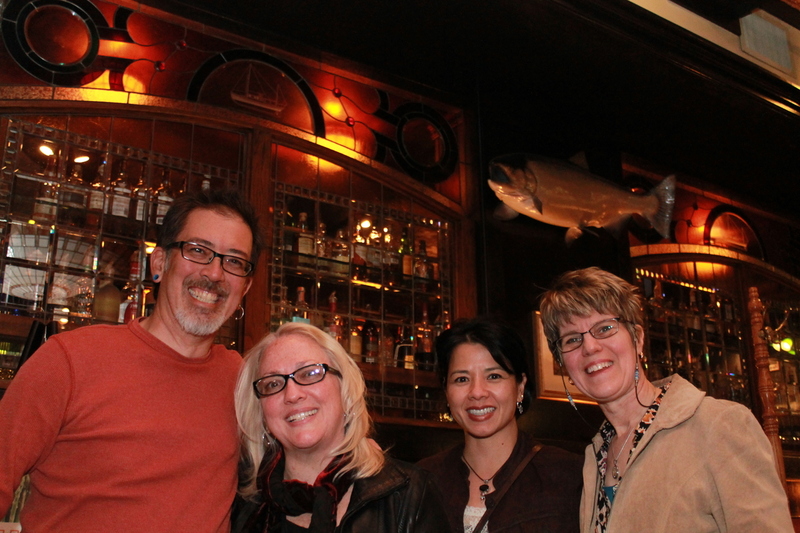 That night, we met up with my cousin Irene for dinner. Saturday was our day to play tourist. In the morning, I took a little walk while Kathleen was getting ready. 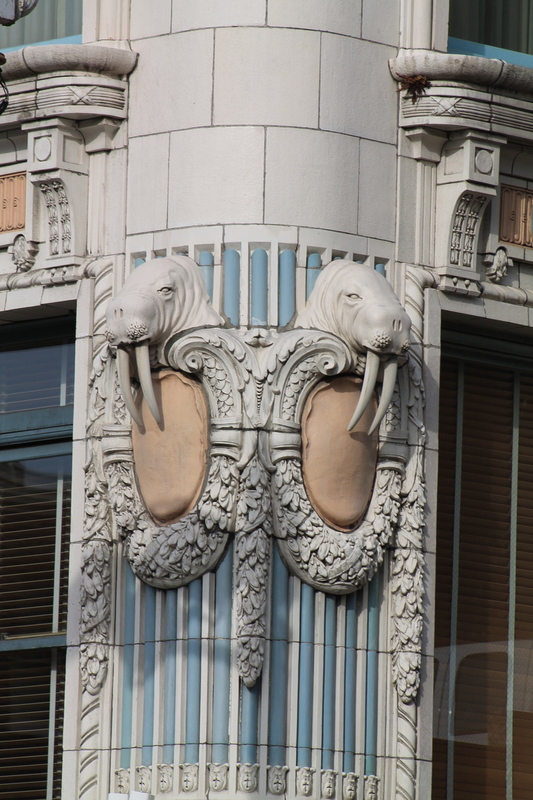 The “Field Trip” app on my iPhone told me about the Arctic Building, which was around the corner from our hotel. It said that the tusks on the walrus heads were originally made with real ivory. Yikes. I also poked my head into the downtown Transit Tunnel. 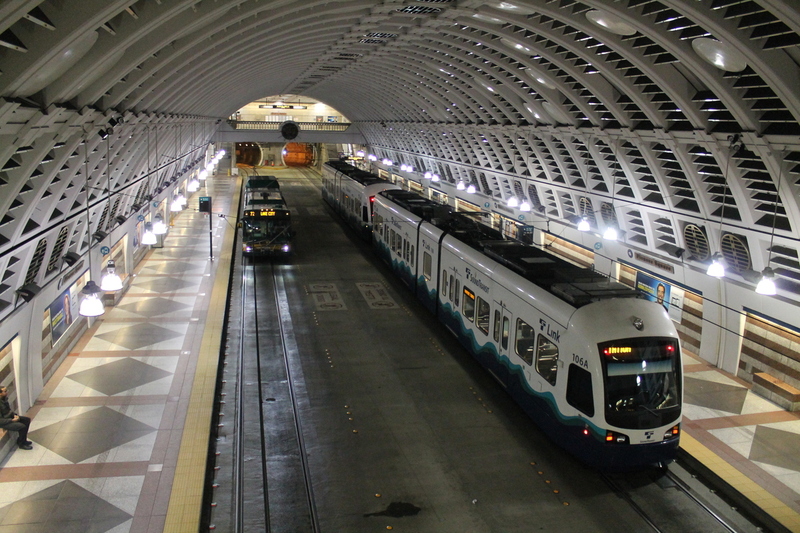 It was odd seeing buses and trains sharing the same tunnel, but it seems to work, and we had occasion to ride the train later that day. 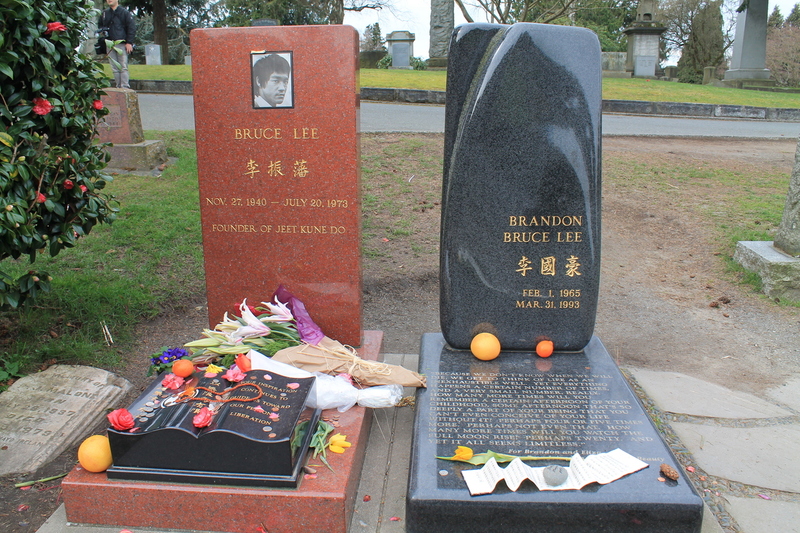 Our one real outing of the day was to Lake View Cemetery to visit the graves of Bruce and Brandon Lee. No trip is complete without a celebrity grave tour. We also played tourist a bit, going on an underground tour that’s not the original one, but a spinoff located nearby. It was pretty entertaining. (I’d link to them here, but their web site crashes my browser. Hey, guys! Getter a better web developer!) 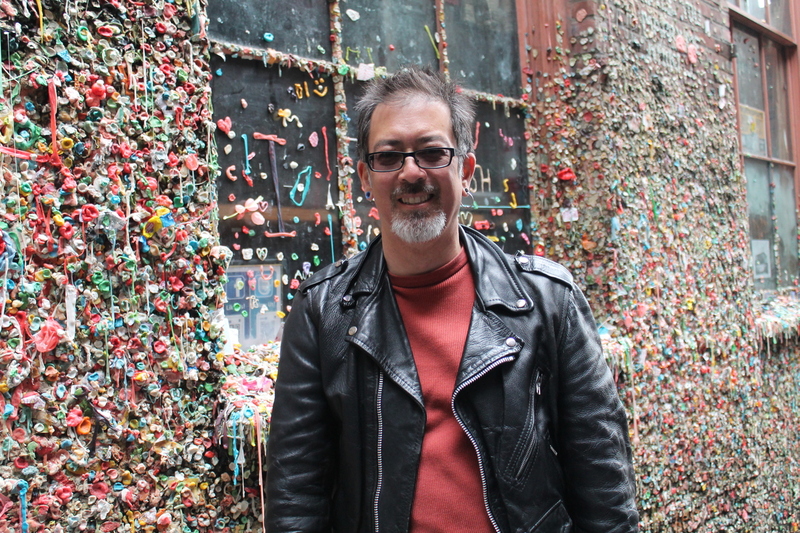 We also visited the Gum Wall and rode the Seattle Monorail, both of which we found through Field Trip. Finally, we met up with my old friend K.D. for dinner. 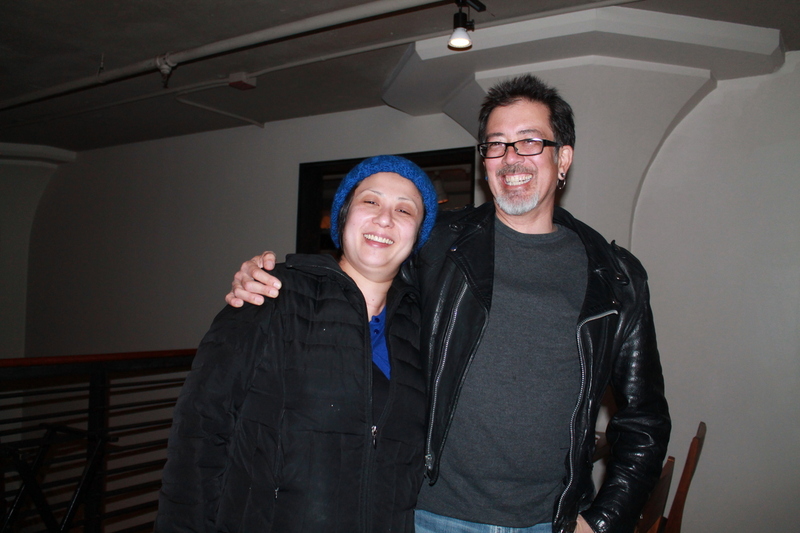 She and her partner Amy were among the first to get married after Referendum 74 passed in 2012. On Sunday morning, it was time to climb. We walked up to the building and found our group. I took it easy going up. My plan was to do my regular easy pace of 4 1/2 floors per minute, which would get me to the 73rd floor in about 15 minutes. But it ended up taking only about 13:45. I was a little surprised by that, but when I went up a second time with PJ to do a survey of the staircase, the reason became clear quickly. 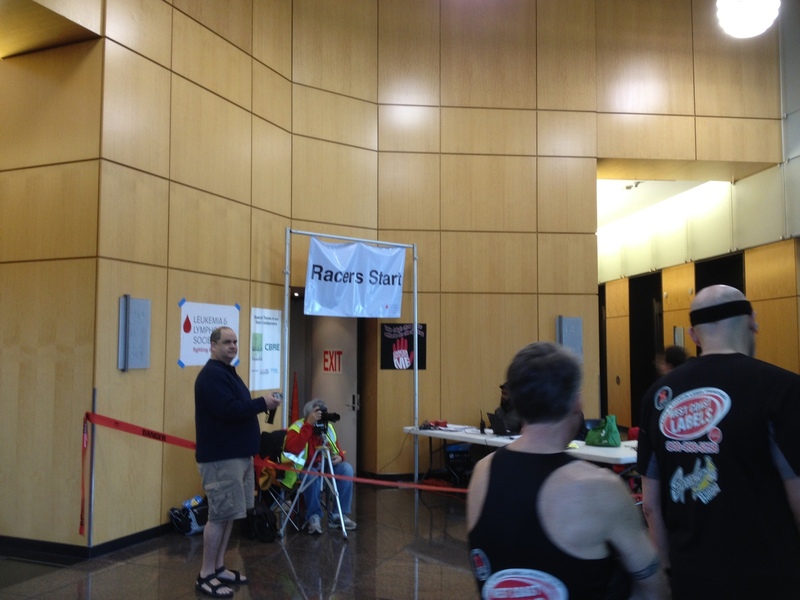 The floors in Columbia Center are only about 11.4 feet each, where most office buildings are 13 – 13.5 feet. So I was doing my regular easy pace of 1 vertical foot per second, and that translated into more floors per minute than it would have in another building. And of course, I made a chart for future reference. We also found that once again, the published step count and climb height for the event were incorrect, and it was actually higher and more steps than the event had claimed. After doing the stairs, we got cleaned up and met up with Irene for lunch before heading back to the airport. All told, it was a fun trip.